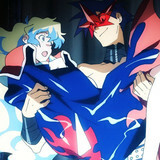 Tengen Toppa Gurren Lagann originally pierced the heavens between April and September 2007. In honor of its 10th anniversary, the series was rebroadcast this year (promoting the upcoming DARLING in the FRANXX along the way.) 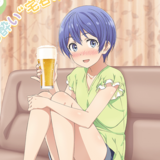 The 27th and final episode ran today, and though fans only have to wait until this weekend to catch it again since the full series is getting a New Year's marathon run on NicoNico, the creators hit SNS with a celebration. 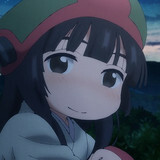 Sentai Filmworks has announced the license of the winter 2018 anime Hakumei and Mikochi. It will soon be available to stream on HIDIVE, with a home video release to follow. More after the jump. 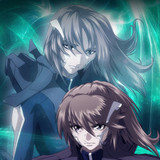 In time for Sōshi Minashiro's December 27th birthday, mecha anime Fafner in the Azure is back in business. The 2015 EXODUS anime is getting a January 31st Blu-ray box set release. The series is also getting a summer 2018 event, with details to be announced later. Beyond that, a new preview is offering a look at the next anime franchise, Fafner in the Azure: The Beyond. Check it out after the jump. Sentai Filmworks has announced the license of the adaption of Haruto Hino's manga, Takunomi. The series will start in the Winter 2018 season and will be available for streaming on HIDIVE starting in January 2018. More after the jump. 2017 was the Year of the Rooster. And, if you've been watching your Juni Taisen, you'll know that that makes '18 the Year of the Dog. Jojo's Bizarre Adventure has been taking the occasion to celebrate coffee flavored gum-loving Stardust Crusader Iggy. 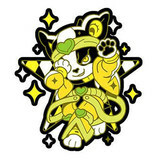 Year of the Dog cosplay charms were released this month by Bandai's Megahouse brand. He was also honored at the recent Jump Festa event. 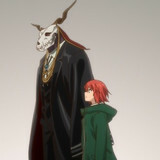 The TV anime adaptation of The Ancient Magus' Bride continues into its second cour this winter with May’n on new opening "You." AIKI & AKINO from bless4 are on ending "Tsuki no mou Hanbun (Second Half of The Moon)." In anticipation of the next part, starting with episode 13 on January 6th,, a new visual shows Chise holding Elias with a mystery woman reflected in the background. The anime adaptations of Nisio Isin's Monogatari series are up to 2014's Zokuowarimonogatari, the thirteenth part and the last book of Final Season. 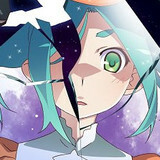 This eighteenth book overall, features the story "Koyomi Reverse." Looking ahead to a 2018 anime, a preview and visual have been published. Get a look after the jump. 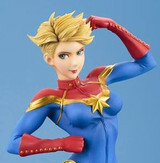 Having scheduled their Bishoujo line figure of Kamala Khan/Ms Marvel, Kotobukiya's latest addition to the line of statues based on the design work of Shunya Yamashita is Captain Marvel/Carol Danvers. Along with the launch of pre-order, photos and a 3D look at the release have been published. Get a look after the jump. 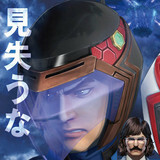 The Tatsunoko heroes who teamed up in this season's Infini-T Force TV anime are set hit the big screen on February 24th in 3DCG feature "Farewell to Gatchaman." Jun Matsumoto directs the Digital Frontier production with Kazuma Suzuki joining as George Asakura aka Joe the Condor, Eiichiro Funakoshi as Dr. Nambu and Aya Endo as Sasaoka. Get a look after the jump. Two weeks from today, on January 9th, Overlord returns to anime with its second season. 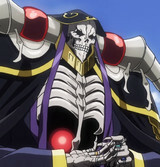 Ainz Ooal Gown and his floor guardians are making their preparations. As a bit of "Momon the Dark Hero" reconnaissance goes on, a giant basilisk shows up to make the episode 1 previews that much more exciting. Get a look after the jump. As they prepare to release the February issue this week, Dengeki G's Magazine has previewed the content of their March issue, due January 30th. 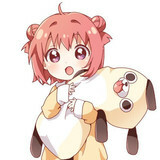 Among the highlights is the promise of a look at a new anime project which will feature original character designs by Namori, best known as the manga author for anime-adapted YuruYuri. More after the jump. 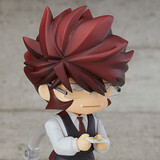 With their respective fall 2017 anime ending, Good Smile Company has launched pre-orders for Blood Blockade Battlefront Klaus V Reinherz and Blend-S Maika Sakuranomiya Nendoroid figures. Both are scheduled to be released in summer 2018. Get a look after the jump. 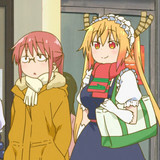 2017 got off to a strong start with the Kyoto Animation adaptation of Miss Kobayashi's Dragon Maid in the year's winter anime season. Comiket will be running at Tokyo Big Sight in the final three days of the year and KyoAni will be seeing it out with some items from the series, including "Dragon Sized" cloth posters. More after the jump. The manga author known as Chica Umino (it's a pen name), spent her Christmas enjoying convenience store pork puns and coffee, taking a bath and catching up on reading (manga, magazines, interior designs books). 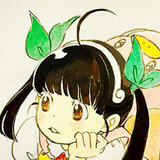 With anime studio Shaft continuing their adaptation of her March Comes in like a Lion into the winter season, she capped the holiday off with sketches of the ladies of their MadoGatari series. Get a look after the jump. As with the Japanese edition, Viz's English Weekly Shonen Jump will be off next week. 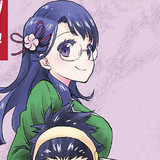 When the digital manga magazine returns on January 8th, it will feature "Origin of E" - a 49 page one-shot about e-sports from Naoshi Komi, the creator of Nisekoi. More after the jump.